Well, some things we could have known sooner. Like, good cosmetic care leads to longer life – also as far as hair is concerned. There’s only one strategy left and that’s Damage Limitation. 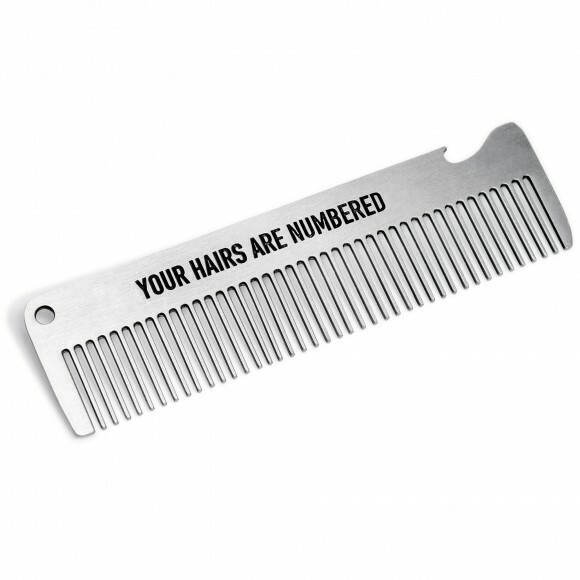 Made of robust brushed steel, this comb will save the rest of what’s left of your glorious mane. And even if there’s not enough of it left to comb, then take a frosty out of the fridge and use the built-in bottle opener to help drown your sorrows. Cheers!